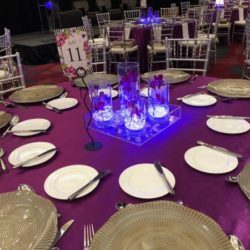 This year we had the privilege of creating the table décor for the Purple Luncheon, benefiting the Women’s Alzheimer’s Movement. 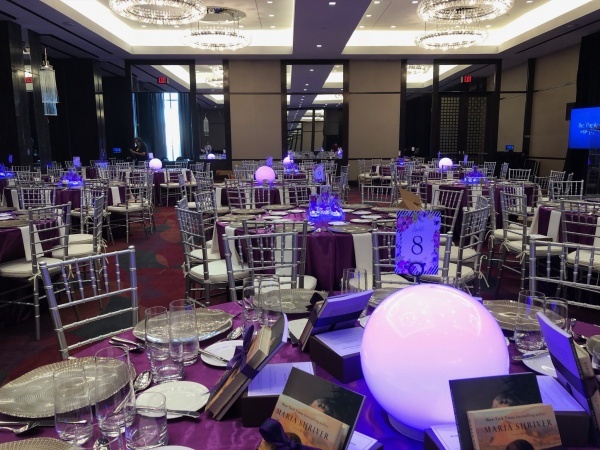 The event took place at the fabulous Joule hotel in downtown Dallas and all funds raised went to the continued research and search for a cure for Alzheimer’s. Maria Shriver was the afternoon’s keynote speaker. For this event, everything had to be designed with “purple” in mind. 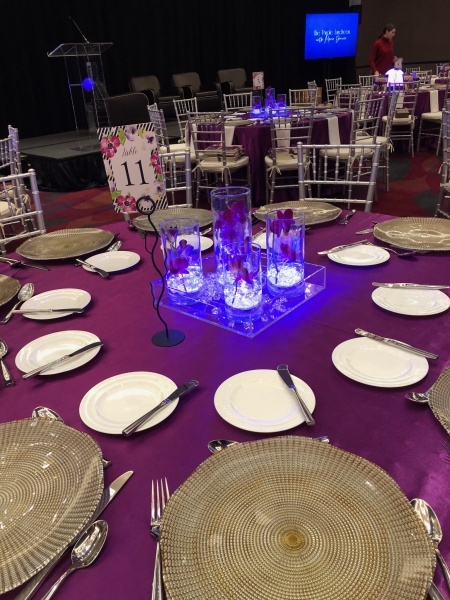 We brought in a vibrant purple satin table linen for each table. There were two different centerpiece designs that alternated on every other table. The first was an assortment of five glass cylinder vases filled with glass crystals and lovely purple orchid stems. Each vase had an LED light at the bottom to create an interesting glow along the table and all were situated in an acrylic tray for a sleek modern look. 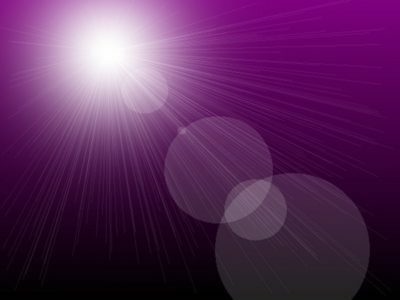 The second design consisted of a lighted glowing orb, lit purple. Both of these concepts reflected that spark of light of discovery towards finding a cure. 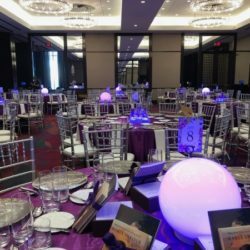 This modern mix on such an elegant occasion not only suited the character and style of the venue, but had the entire ballroom glowing in vibrant purple. For more information on the Women’s Alzheimer’s Movement, visit www.thewomensalzheimersmovement.org.